ANY colors and amount would be great!! Thought I was ask here before buying from bricklink. I have 1000s of yellow. What's a US LF plate? United States Looking For Plate 1x1 I think. 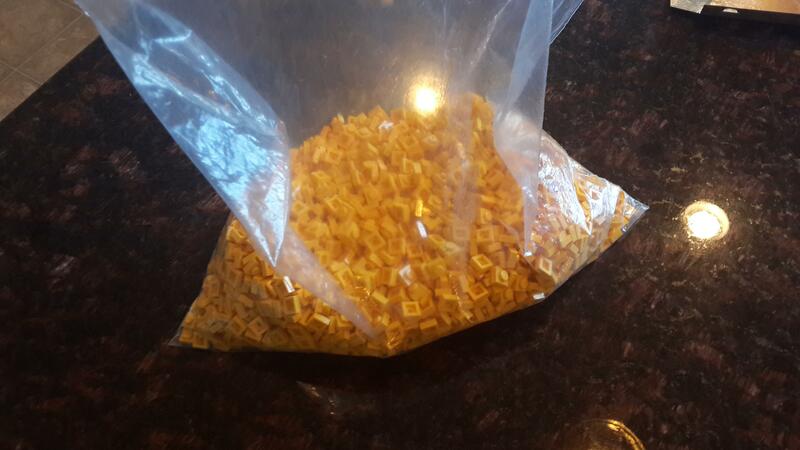 I have about 2-3K yellow 1x1 plates. 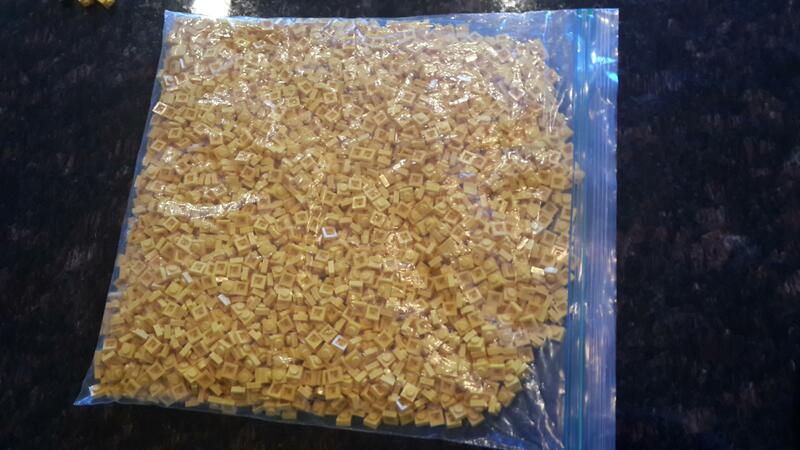 @FollowsClosely how much per piece are you looking to get for your yellow 1x1? I have 19 1/4 cups with around 70 per 1/4 cup. Around 1330. Sorry that is less than I thought, but they are new. How about $35 shipped? 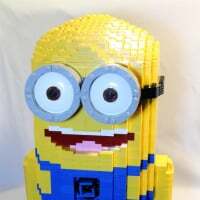 Do you have a local LEGO store that may have them in their PaB wall (or in their stock room)? You could buy the bulk boxes for 70$ at the lego retail store. There are 6150 1x1s per box so that's a pretty good value. Actually, I'm not sure for the plates because this number is for 1x1 bricks, but you can ask. They have bulk boxes for everything they have on the wall. ^ The bulk boxes are boxes that stores receive to replenish their PaB stock. If you can find 1x1 on the wall, that is by far the cheapest way to get them, but not everyone has access to a PAB Wall. I've never seen 1x1 plates on the wall before. 1x1 bricks, rarely. I've never seen 1x1 plates on the wall before. Employees have been told to no longer sell kboxes. Too bad as that was a great way to get blocks. It is an official store policy now not to sell the boxes. Haven't heard any non speculative reason why but they had a clearance on boxes like a month or so ago where stores were selling the extra boxes they had for like $30. And if they had them a k-box of 1x1 plate is ~8000 plates. I don't normally us trans-plate in my mosaics. But thanks @kiki180703. I wish they had them on PaB walls. That would make it so much easier.